Take a look at the results from the 2013 Queensland State SUP Titles, which were held on the Gold Coast this past weekend. Young gun Lincoln Dews dominated the men’s racing, taking out both the 17km Distance Race and the BoP-style Technical Race ahead of his new Lahui Kai racing team manager Kelly Margetts. Meanwhile Ironwoman Queen Karla Gilbert was similarly impressive in the women’s, claiming both races and booking a spot in the Aussie Titles later this year. 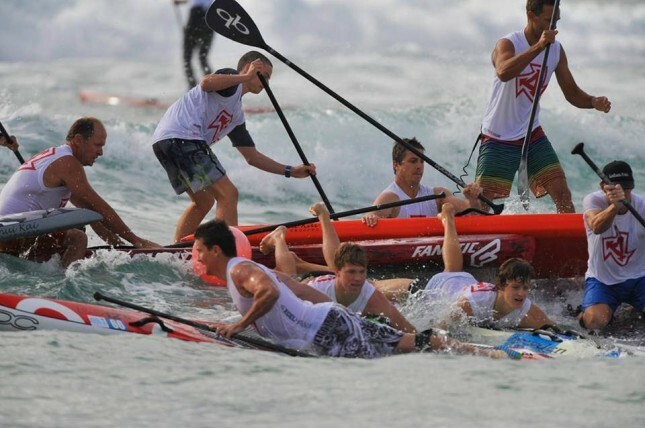 The QLD State Titles were a qualifier for the 2013 Austalian Stand Up Paddle Titles, which are set to be held at the same spot (at the paddling mecca of Currumbin) in five months. The Marathon Course was interesting on the weekend, with the first half an open ocean downwinder and the second half a pure flat water race up and down Currumbin Creek. Scroll down for the full results. …though you may notice that a few big names were missing, as leading Queenslanders paddlers Beau O’Brian, Travis Grant, Jamie Mitchell, Jake Jensen and Angela Jackson were bus in Europe while this event was happening. Watch the event recap video below and check out more pics over on the Breeze.